Ben is a director of Element Energy. He has extensive practical experience of a range of low-carbon energy initiatives, as well as experience of the project management of multi-partner projects (especially those involving the EC). 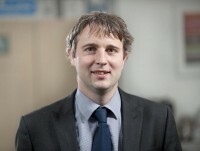 Ben began his involvement with low-carbon energy engineering at Whitby Bird, acting as lead engineer and project manager for a range of photovoltaic and low-carbon building projects. Current work focuses on developing techno-economic studies to inform Government policies for energy efficiency and distributed generation, as well as strategic studies for leading industrial players in the low-carbon energy space.